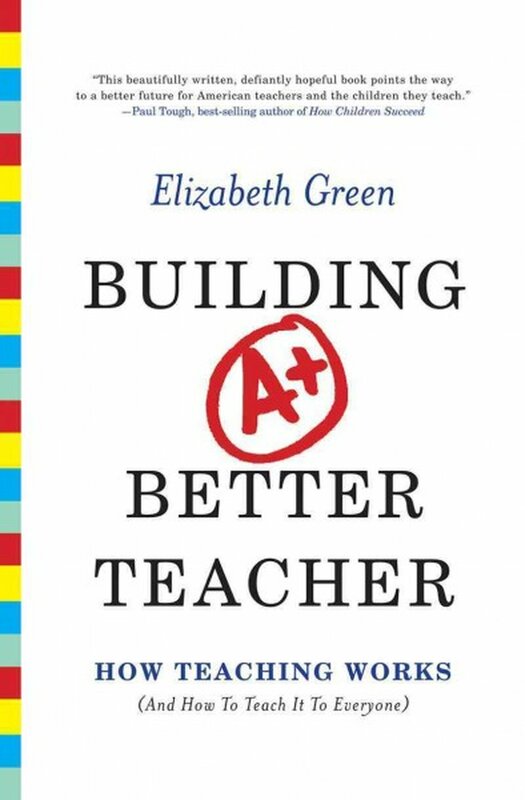 I’m currently reading Elizabeth Green’s book “Building a Better Teacher” and am really enjoying it. It offers a nice chronicle of how teaching has evolved as a profession and how pedagogy first developed as a science. The latest chapter I read mentioned the Japanese art of “jugyokenkyu”, which in English would be the art of teachers studying and reflecting on their lessons. I found it interesting that this so-called lesson study is an inherent part of the Japanese educational culture. It is not out of the ordinary for many teachers to walk into a classroom and silently observe from the back of the room. Teachers will discuss the lessons afterward in order to improve their craft. I know that many teachers in America would see this practice as an invasion of their classroom. They might claim that it’s disruptive to their teaching or a distraction to their students, but that’s simply because no such culture exists within our current educational model. In fact, the book specifically pointed out a study in which an American, Japanese, and German teacher watched videos of each person’s teaching to evaluate the cultural differences in teaching practices. The Japanese teacher was struck by the interruption of an announcement during the American teacher’s lessons. Something that we American teachers deal with every day: a change in busses, a student given a pass, the daily announcements, or a drill of some kind. The myriad of interruptions that occur in U.S. schools are just as inherent as the Japanese lesson study. We don’t take notice of these interruptions, which are actually detrimental to the learning and flow of a lesson. Meanwhile, the practical art of lesson study remains a point of contention because many teachers detest being put under a learning microscope, so to speak. But I believe maintaining such an isolationist attitude in the classroom is a detriment to the American schools. I can say I relate to this because when I was a first year teacher I remember recognizing problems in my classroom but not knowing how to solve them. I didn’t have the resources or experience to know what to do and I wanted to watch other teachers to see how they dealt with the problems I was experiencing. Unfortunately, I didn’t have the time outside of my regular duties to do this. At the same time, I wanted other teachers to come in my classroom and give me more feedback about my teaching. Instead what I got was evaluations with glowing remarks and no meaningful constructive feedback. Elizabeth Green points out in her book why “jugyokenkyu” should be such a necessary part of the teaching profession. Firstly, it helps teachers talk about teaching. It is through this reflective practice that the words to describe what good teaching is and isn’t come to be. With it, Japanese teachers have developed a vocabulary to talk about what they do in the classroom. As much as teaching is an art there are key components that all teachers are aware of and having the words to describe these parts of learning is key to being successful. Secondly, it allows teachers to improve their craft. It engages teachers in the practice of reflection so that they improve. It is extremely difficult for a teacher who is in the act of teaching to be cognizant of everything happening in the classroom. A teacher has a lot to think about at each step of the lesson, which is why having colleagues observe and offer meaningful feedback is important. The observers can focus on the individual components of the lesson and parse out what works and what could be changed. If anything, this is a huge benefit to the teacher who is then free to focus on teaching. The Japanese recognize the advantage of sharing and adopting best practices, whereas Americans often view this as an attack on their personal style of teaching. Lastly, “jugyokenkyu” not only helps teachers improve upon their teaching but also upon their curriculum. Green mentions how Japanese teachers used the art of lesson study to come up with better curriculum when creating new textbooks. When Japanese teachers studied one another’s lessons, they discovered the best examples to optimize student learning and they figured out the best questions to use to prompt student discussion. In this way, the relationship between teachers and curriculum is dynamic. Japanese teachers are researchers of pedagogy and can make visible the often hidden aspects of good teaching. This pays huge dividends in training future teachers and in developing all teachers to their fullest potential.